I don’t know about you, but I am counting down the days to January one. New year, new start and many goals in mind. Something about the new year births new ambition in me! Not only will I be kicking myself back into healthy eating, I decided to take it a step further and challenge myself (and you) to some serious skin care commitments with serious results. Over the years, I have become well diverse in the many facets of beauty. Growing up in a salon, attending Aveda for cosmetology, practicing hair and skin for the last decade and eventually creating my own wholesome line of organic beauty products, one thing remains. No matter who you are, where you come from or where you are going, the image of yourself remains crucial for your overall well-being. While I believe that beauty truly does comes from within, it is a fact that your outward opinion of yourself directly affects your inward self. This is called self image. There is overwhelming research showing how ones self image can directly affect everything from daily moods and career success to social status and intimacy behind closed doors. If we know that the way we feel about ourself is directly related to the way we look on the outside, doesn’t it make sense to nurture and protect the organ that covers our entire body? Our skin is an organ that thrives on daily cleansing, exfoliation and nutrient-rich topical food (also known as serum and daily moisturizer). It wasn’t until I started creating and using my own nutritious skin care products that I saw a miraculous change in my skin. Not a day goes by that I am not complimented on my skin. Not my shirt, or the necklace I am wearing, my skin! I can tell you that THAT makes my self image much greater. I want this for you too! 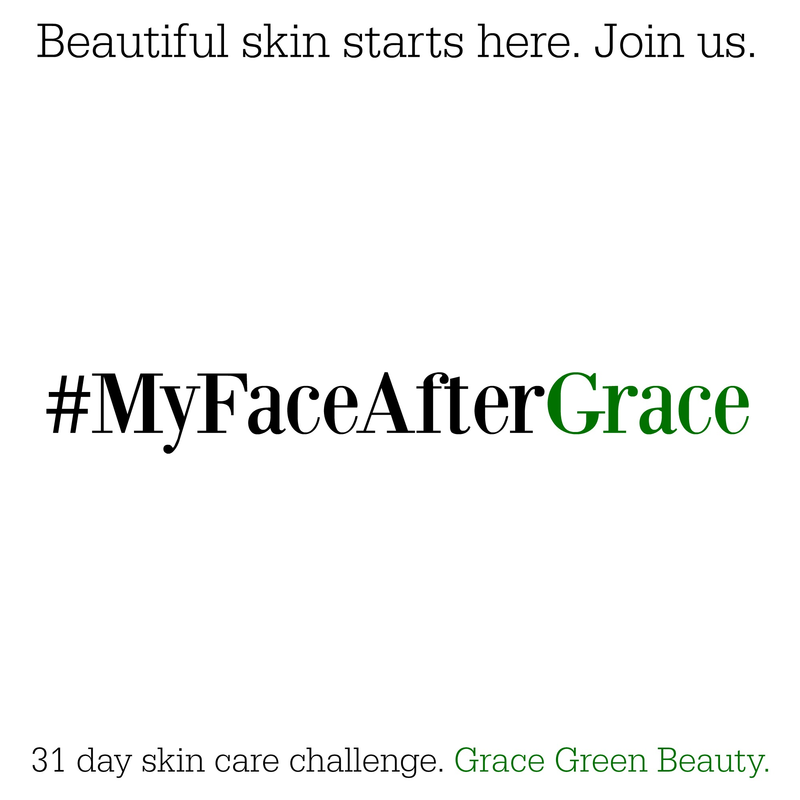 That is why I am inviting you to be a part of #MyFaceAfterGrace. This is a 31 day skin care challenge and ultimately, a new way of life. 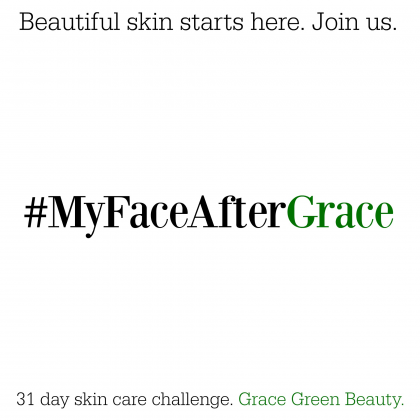 Throughout the 31 days, we will work together to create new habits for our skin care routines. 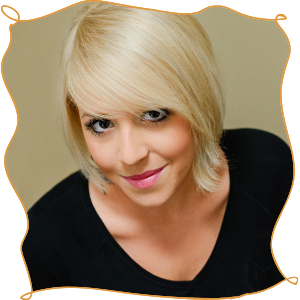 We will learn new and innovative ways of achieving beautiful skin. We will have giveaways and even specials that are only for those who are participating. If you are not already using the following products, here is a list of what you will need to purchase. The rest can be found in your refrigerator or your local grocery store. Order soon so we can start January 1. Peaceful Face Nourishment or Forgiven Face.